5 And he said to them, “Which of you who has a friend will go to him at midnight and say to him, `Friend, lend me three loaves; 6 for a friend of mine has arrived on a journey, and I have nothing to set before him’; 7 and he will answer from within, `Do not bother me; the door is now shut, and my children are with me in bed; I cannot get up and give you anything’? 8 I tell you, though he will not get up and give him anything because he is his friend, yet because of his importunity he will rise and give him whatever he needs. Meditation:What can we expect from God, especially when we recognize that he doesn’t owe us anything and that we don’t deserve his grace and favor? Jesus used the illustration of a late-night traveller to teach his listeners an important lesson about how God treats us in contrast to the kind of treatment we might expect from good neighbors. The rule of hospitality in biblical times required the cooperation of the entire community in entertaining an unexpected or late-night guest. Whether the guest was hungry or not, a meal would be served. In a small village it would be easy to know who had baked bread that day. Bread was essential for a meal because it served as a utensil for dipping and eating from the common dishes. Asking for bread from one’s neighbor was both a common occurrence and an expected favor. To refuse to give bread would bring shame because it was a sign of inhospitality. If a neighbor can be imposed upon and coerced into giving bread in the middle of the night, how much more hospitable is God, who, no matter what the circumstances, is generous and ready to give us what we need. 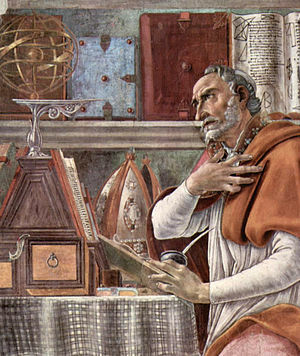 Augustine of Hippo reminds us that “God, who does not sleep and who awakens us from sleep that we may ask, gives much more graciously.” In conclusion Jesus makes a startling claim: How much more will the heavenly Father give!The Lord is ever ready to give us not only what we need, but more than we can expect. He gives freely of his Holy Spirit that we may share in his life and joy. Do you approach your heavenly Father with confidence in his mercy and kindness? This entry was posted in Discipleship and tagged Bread, Christ, Christ Jesus, Christianity, Father God, God, Holy Spirit, Jesu, Jesus Christ, Lord, Luke, New Testament, theology. Bookmark the permalink.